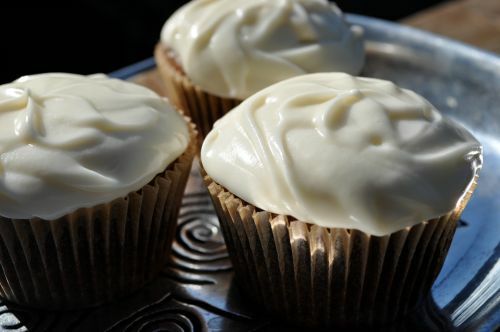 In no way are these vegan, gluten-free cupcakes health food, but they are delicious. 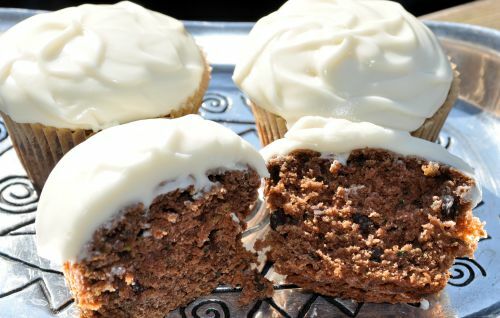 The zucchini keeps the cupcakes moist without lending a vegetable flavor. You just taste chocolate-y cake topped with tangy/sweet frosting. Yum! In a food processor , blend together Earth Balance and yogurt. Add in powdered sugar, and process together until smooth. Preheat oven to 350. Oil muffin pans or line with muffin papers. In a medium bowl, combine oat flour (or all-purpose flour and xanthan gum), baking soda, 1 teaspoon baking powder, salt, and cocoa powder; stir with a whisk. 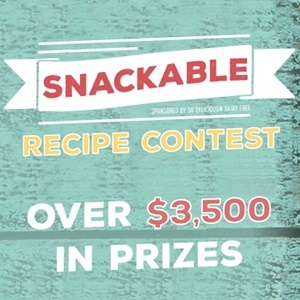 In a large bowl, combine applesauce with 3/4 teaspoon baking powder. Add cultured coconut milk, sugars, oil, and vanilla to applesauce. Thoroughly mix zucchini into applesauce mixture. Mix dry ingredients into zucchini mixture. Stir chocolate chips into batter. Spoon into oiled muffin pan or muffin pan lined with paper liners. Bake 20-25 minutes, or until a toothpick inserted in the center of a muffin comes out clean.